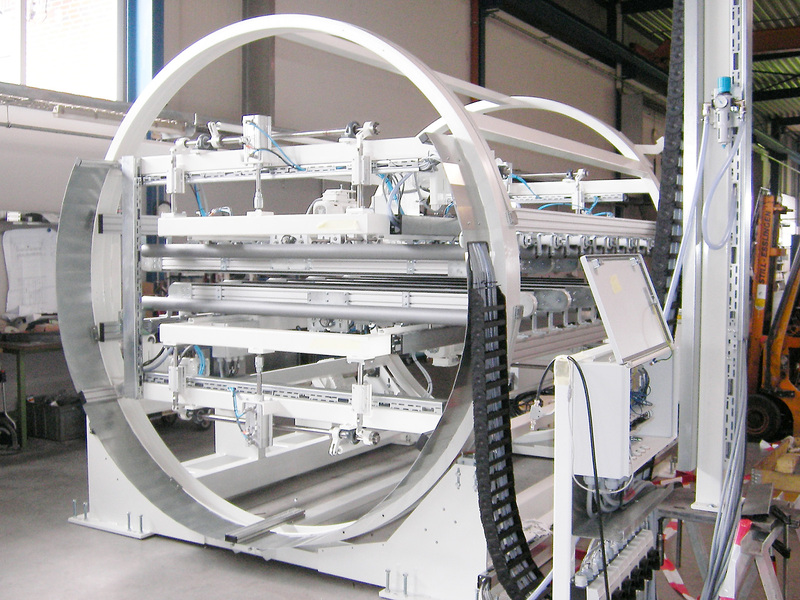 The drum rotation device is a system for rotating panels or stacks in continuous operation. 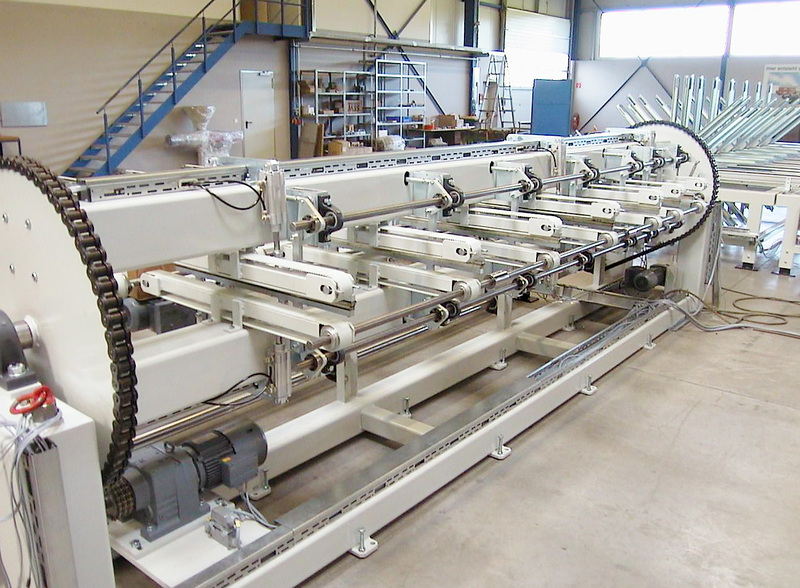 Various conveyor systems can be utilised to convey the workpieces to the rotation device, such as e.g. roller, gear belt, webbing or chain conveyor belts. 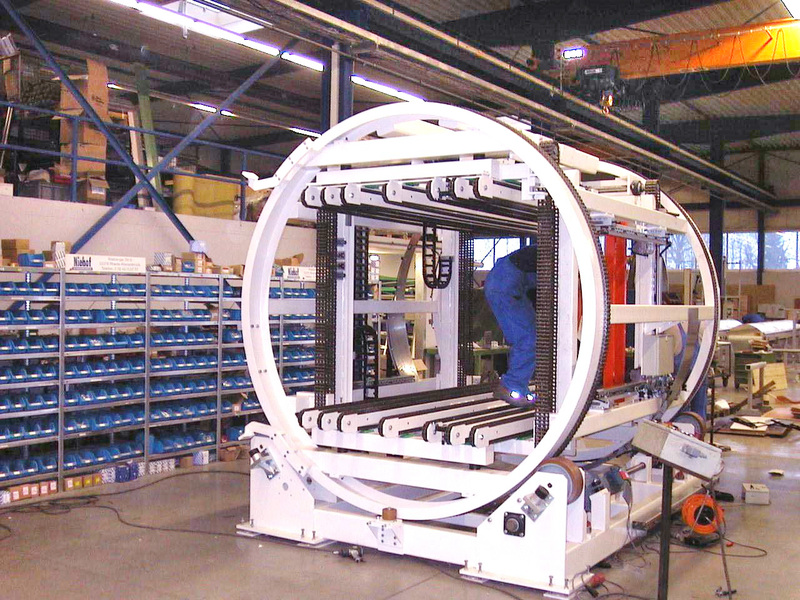 The workpieces or workpiece stacks are tensioned after transportation to ensure they do not become displaced during the rotation process. For panel material, this generally takes place by means of a pneumonic tensioner, whereby the stacks are brought together mechanically by the conveyor system. Cycle output up to 10 cycles/min.